You’ve seen this bone before – I first posted on it 8 years ago this month, and it turned up again here and here. It is still the longest known vertebra of any animal that has ever lived. In Jensen’s (1985) original description of this vertebra – which he at first referred to Ultrasauros – the only relevant illustration he included was one of the model, so it was good to see this bit of history in the flesh (Jensen did include photos of the actual bone in later papers). We’ll show the two vertebrae, real and sculpted, side by side in a future post. Jensen, J. A. 1985. 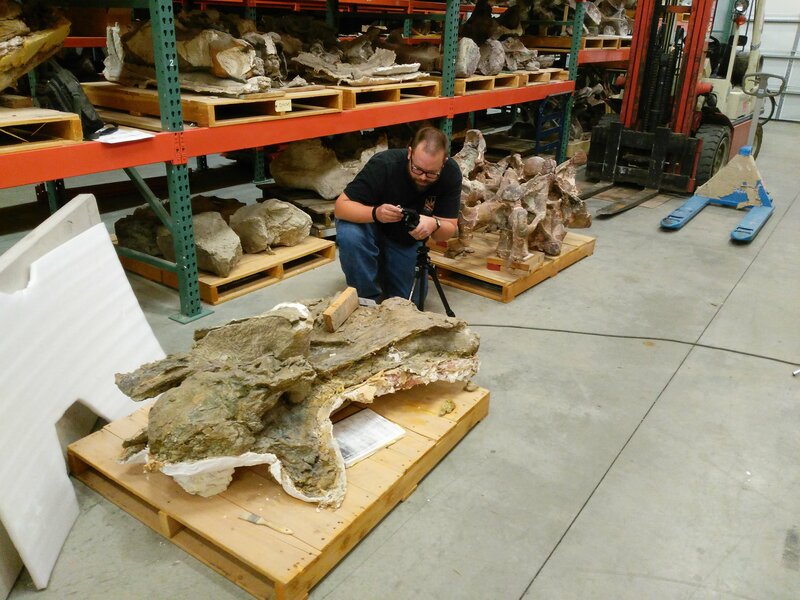 Three new sauropod dinosaurs from the Upper Jurassic of Colorado. Great Basin Naturalist 45, 697-709. So, does the Brigham Young Museum of palaeontology share storage space with an art gallery? I mean, that’s an interesting piece of abstract sculpture that Mike is manhandling, but a BONE? 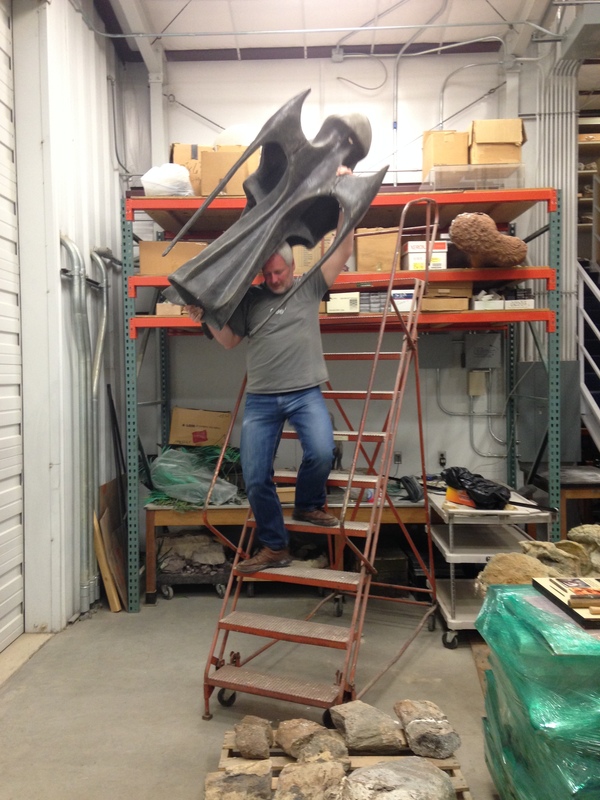 It’s not a real bone, of course, but a sculpture of what Jim Jensen thought the big Supersaurus cervical looked like in life. And to think, now this cervical seemingly belongs to a mythically proportioned Barosaurus. Oh Paleontology, you never cease to amaze me.